This idea came from a friend of my, Mike Ginicola. He took a few pictures of his setup and tweeted them out. As you can tell it is an "S" hook he used for the top of the cones. What a great way to create some low nets for class. Some "nets" he created with a long beaded jump rope and the other is a Chinese Jump Rope. 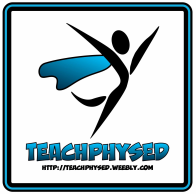 If you haven't seen his website go over and check out PhysEdDepot now! Below you will notice what I call a "limo". Actually my two sons created this and started calling it a limo. Of course, I loved it so much that I had to think of some cool activities the limos could be use for. Take a look at the videos under the Scooter Board page on my website. This creation has allowed me to come up with some unique cooperative activities my students really enjoyed during class. Give it a try some time with your students and let me know what you think. Don't know what to do with those kinked hula hoops? Cut the kink out, grab two cones and now you have a tunnel. The tunnels are great for students to crawl through, go under with a scooter, roll a ball under, kick the ball under, and so much more. What will your imagination come up with for your tunnels? If you have more ideas, I would love to hear them! Have you seen the price of the storage racks for scooter boards? They can get pricey that's for sure. A few years ago I bought some wooden dowels that do the same trick. When starting the stack, the first scooter board should be placed wheels down. Having the wheels down will allow you to move it easily. I have found using the pattern shown in the picture when stacking has been useful in storing a lot of scooters on one pole. The downfall to using a wooden dowel is now it's starting to bow a little. If you can find a metal pole to use that would be much better. I have the red instapulse heart rate monitor poles and have found a bunch of the bases started breaking. So I went to the hardware store, bought some PVC pipe, quick dry cement, and got to work. I used ducked tape on one end of the pipe so the cement would not go inside it. For the base I used some tin cans from our cafeteria. If I were to do it again, I would have a bigger base (they tip over easily). The poles can also be used as field markers, hold nets, hold signs and much more. I use 2x4 in 10-12 foot length as bumpers for our mini golf unit. During the unit I push the boards up against the wall to help cute down on purchasing more wood. The width between the boards is around 4 tile squares (roughly 4 feet). I place various equipment from my closet as obstacles in the course and if I don't have enough putters, I use foam noodles. For a brief demo of how I setup my course view the link to my YouTube video below the picture. Looking for a way to teach your elementary students about weight lifting but don't have the budget to purchase the expensive weights? Over 15 years ago I learned this little equipment hack at our TAHPERD convention. I asked the parents for their used Gatorade or Powerade bottles (cleaned out). 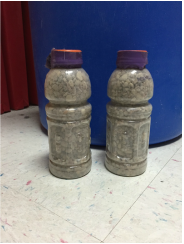 I then went to our playground and fill the bottles with rocks and taped the lid one. Now we have a bunch of weights for circuit training in class. So, if you are like me and get tired of washing the pull over jerseys all the time you may like this idea. For years we have been using the juggling scarves for the students so they know who is on their team. I have the students tuck the scarf slightly in their packet or in the waist of the bottoms they are wearing. As you may know I love using Plickers! I needed a way to display my cards so they were easy for students to find their card. I've had this hook system outside the gym for years and now have a new use for it. It is a simple piece of 1x6 that I screwed the hooks into. 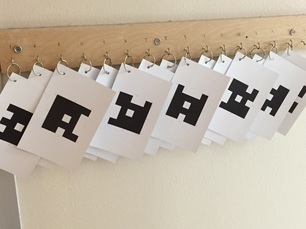 I printed off the Plickers cards, hole punched a corner, and placed a ring through the hole to hang them. I wrote a number above the hooks so the students will know where to hang their card. Got this great idea from Erik Myer. 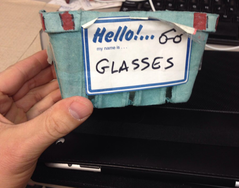 He told me it is one of those old containers strawberries would come in and he has turned them into a storage container for students to put their glasses. What a great and free idea! I know my students leave their glasses behind all the time and this is a great visual for students to see so they won't forget. I'm sure it's been talked about many times before but in case you haven't heard that you can use milk cartons as scoops. Just ask the parents to have the students bring in their washed milk cartons and you can cut the bottoms off to create your own scoops! Here is another idea I got from Erik Myer. He has taken the bicycle hooks you can purchase from any local store and has used them to hang up his hula hoops to keep them out of his way! Sometimes I forget about my wall space to use to store my equipment. Another thing you could do is tie a rope around the hoops and then loop the rope around a hook on the wall. Here is another great idea from the great Kevin Tiller. He has found a great way to display and store his FitStep pedometers. 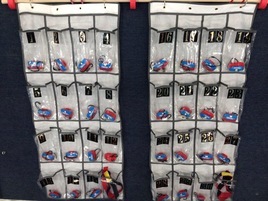 He has found some inexpensive shoe organizers, numbered the pouches and place the pedometers inside. 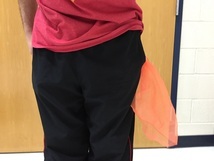 Now he can hang up the organizers and the students can grab their pedometer when they enter his class. Zip ties can be your new best friend. There are many uses for zip ties in your classes. Here are a few examples. You can use them to tie equipment together for storage. Take scooter board handles and tie them together for activities. 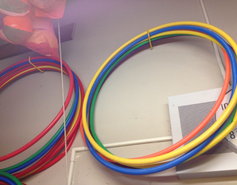 If you need hula hoops to stay in place on the floor use the ties. Sometimes there are students who don't wear a belt, use a zip tie for their pants. Velcro is a great alternative to zip ties. You can reuse the Velcro many different times and still use it the same way as the above mention for zip ties. If you know someone that can sew, you can create your own buddy straps for cooperative activities with your students. Boxes, boxes, boxes. You don't need any money to get plenty of boxes. Check with your local restaurants or businesses, most of them are will to give you their empty boxes. Whether you are looking at needing boxes to store equipment or for students to toss a ball into them, the boxes shouldn't cost a thing. 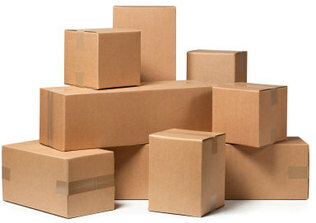 In the past I've used boxes to toss into, as targets, storage, towers, created robot suits, wagons, and much more. The poly spots look great in the catalog but some times you don't have the budget for them. 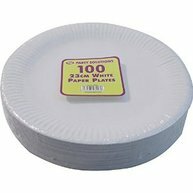 Instead try using paper plates from a dollar store. You can purchase so many at a very low cost. Now you can make your own spots to put letters, words or numbers on. Take some pictures of yourself performing the exercises for them to look like the ones from the catalogs. My wife brought up a vary valid point. The paper plates might slip on the floor. She suggested trying drawer liner. 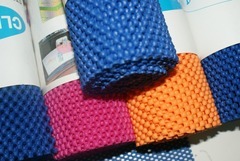 You can create all kinds of shapes or patterns with a giant roll of drawer liner. Tape some numbers, letters or words on the top and you are all set for some good times in class. This idea has come to me by Adam Llevo off Twitter. He took his noodles and stood them up on top of the cones, Students had to avoid running into or bumping the noodles. Great idea. I've also heard someone else use toilet plungers with the noodle over the wooden handle. What a great idea of using "for sale" signs, rubber bands and duck tape to create your own cone signs. Very inexpensive and quick to make. Write whatever you want right on the sign. You could always use a small hair band instead of the rubber band to make the sign last longer. Add a clothes pin to the top and you can use a piece of paper to for different signs. Clear pencil pouches can easily be used to protect your task cards when you are outside. Put some string through the holes and you can hang them anywhere (as long as the principal is cool with it). Not sure but maybe you could also us a dry erase marker on it. Wanting to use weighted bars in class but don't want to spend a lot of money from the ones in the catalogs? Check with the local hardware store for some PVC pipes, sand and caps. Some hardware stores will give you products for free if you tell them you are using it for your class. Instead of sand you could use cement (no mess if the caps come off).